This entry was posted in calendar, channel island, cheshire, education, evacuee, heritage, history, oral history, schools, Uncategorized, war. Bookmark the permalink. 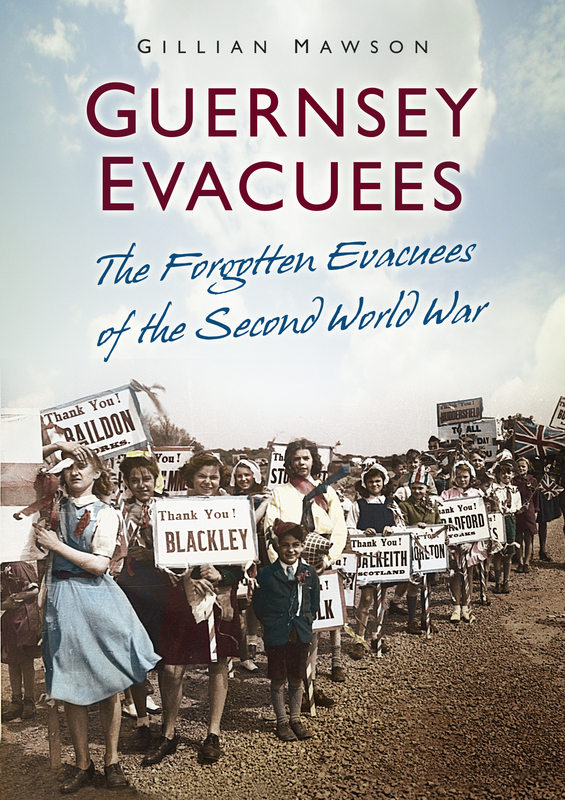 I could not truly be considered an evacuee because I left Guernsey with my Grandmother at the age of 18 months, after several stops, including Coventry, we ended up in Halifax, Yorkshire and I particularly remember one schoolboy friend Ken, we both attended St. Augustines Primary School and an ex pat Pierre, a genuine Guernsey boy who also was in our class. With no more knowledge than this, I don’t except to catch up with them, although it would be terribly exciting if I did… there was also a Yorkshire girl in my class, a then Jean Taylor and I misser her terribly when I returned with my family to Guernsey in July 1945. Jean-Yvonne Collins, then, now Egger and after 42 years in Australia, residing with my Swiss husband in St. Gallen. I lived in levenshulme, manchester at the time. The manager of the local bread bakety and his wife took in two brothers, eric and patrick fe brach.the lived in caryll grove east. They were very popular with the local boys. I remember going to patricks 8th birthday party in 1945 just before they were returned home. Eric was older, about 11 I think. They were certainly remembered, I know that they were anxious to return home to their island home. I often wandered if they stayed there when they were older.